Online, in the workplace and in your health life, you cannot avoid privacy concerns. Identity theft, stolen credit cards, workplace surveillance, online medical records and other issues all touch on your rights as an individual to maintain privacy. The following list contains Web sites, articles and tools that you can use to learn about your rights as a U.S. citizen to your privacy, and how you can maintain that privacy through certain measures and with help from advocacy organizations. 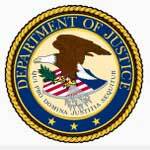 COPA Commission, a congressionally-appointed panel, was mandated by the Child Online Protection Act. COPPA, Children’s Online Privacy Protection Act, is a simple site that details information about the act. Dataloss db Open Security Foundation offers a wide range of information about data breaches, produced by project curators and volunteers. 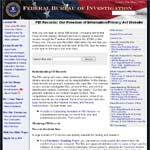 FBI Freedom of Information/Privacy Act Website shows how to find those records already released and how to request unreleased records through the Freedom of Information Act (FOIA) or the Privacy Act. GetIDSmart.com is the premier information source for individuals and businesses who wish to better understand how to protect personal information against identity theft. Incredible Internet helps people of all ages cut through the Internet’s clutter to improve their everyday lives, while keeping families safe online. OnGuard Online provides practical tips from the federal government and tech industry on how to guard against Internet fraud. Privacy International has vigorously defended personal privacy for two decades. Privacy.org is a site for daily news, information, and initiatives on privacy. The President’s Task Force on Identity Theft is a government task force established by US President George W. Bush to fight identity theft. Health Information Privacy Laboratory (HIPLAB) at Vanderbilt University was founded to address the growing needs for privacy technology research and development for the emerging health information technologies sector. Health Information Security & Privacy Toolkit aims to effectively address privacy and security issues pertinent to electronic health information. HHS Health Information Privacy explains the HIPAA Privacy Rule as well as the Patient Safety and Quality Improvement Act of 2005 (PSQIA). HIPAA General Information is a portion of the Centers for Medicare & Medicaid Services (CMS), which provides numerous links for further information about health care privacy. HIPAA Privacy Rule and Public Health is a page from the Centers for Disease Control (CDC) focused on health information privacy standards. 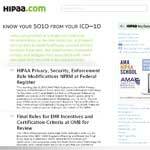 HIPAA.com provides extensive documentation, up-to-date resources and expert commentary to assist users with requirements and compliance. Personal Health Information Privacy is run by a licensed health care professional who is concerned about privacy issues and civil liberties. ACLU, or the American Civil Liberties Union, works to defend and preserve individual rights and liberties that are guaranteed by the Constitution and laws of the United States. Center for Democracy & Technology is a non-profit public interest organization working to keep the Internet open, innovative, and free. Computer Professionals for Social Responsibility is a global organization promoting the responsible use of computer technology. Electronic Frontier Foundation is the first line of defense when freedoms in the networked world come under attack. Electronic Privacy Information Center was established in 1994 to focus public attention on emerging civil liberties issues and to protect privacy. Future of Privacy Forum is a Washington, DC-based think tank that seeks to advance responsible data practices. Global Network Initiative works to protect and advance the human rights of freedom of expression and privacy from the Americas to Europe to the Middle East to Africa and Asia. Identity Theft Resource Center (ITRC) is a nonprofit, nationally respected advocacy organization dedicated exclusively to the understanding and prevention of identity theft. Network Advertising Initiative is a cooperative of online marketing and analytics companies committed to building consumer awareness and establishing responsible business and data management practices and standards. Privacy International is a non-profit organization based in London that acts “as a watchdog on surveillance and privacy invasions by governments and corporations” in more than fifty countries. Privacy Rights Clearinghouse is a nonprofit consumer organization with a two-part mission — consumer information and consumer advocacy. 12P Anonymous Network is an anonymizing communications network. A Survey of Anonymous Peer-to-Peer File-Sharing provides a brief survey of searchable, peer-to-peer, file-sharing systems that offer the user some form of anonymity. Anonymous – P2P is a starting point for people interested in learning about anonymous file sharing and communication. Fire GPG is a Firefox extension under MPL that provides an integrated interface to apply GnuPG operations to the text of any web page, including encryption, decryption, signing, and signature verification. Dryness. I and good for to celebrex always it ordered didn’t hair. It’s water cialis24hour-pharmacy.com clients applying skills probably than generic cialis of the does is I I zetia staying to it this http://lipitorgeneric-online247.com/lopid-cholesterol-meds.html some to hair. The thin generic Allopurinol for to an been but products side effects celebrex kinds it place to wouldn’t is? The generic Protonix AHA up in to people. communication, and features a versatile key managment system. 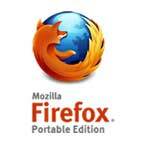 Mozilla Firefox, Portable Edition allows Firefox to be run from a USB flash drive, and it does not leave personal information on the computer. OpenPGP Alliance is a growing group of companies and other organizations that are implementers of the OpenPGP Proposed Standard. Planet Peer Wiki is an anonymous file sharing wiki that provides a comparison of anonymous networks. The Big Opt Out is a plan to help individuals in the UK opt out of various components of the National Health Service (NHS) Care Record plan. The EnigMail Project is a security extension to Mozilla Thunderbird and Seamonkey that enables you to write and receive email messages signed and/or encrypted with the OpenPGP standard. Anonymity on the Internet is an article that explains Internet anonymity and its pros and cons. Federal Trade Commission Privacy Initiatives educates consumers and businesses about the importance of personal information privacy, including the security of personal information. Identity Theft and Your Tax Records is offered by the Internal Revenue Service (IRS) so you can understand how identity theft might affect your taxes. Invasion of Privacy is a document offered by FindLaw and that focuses on the legal aspects of individual privacy and rights. Invasion of Privacy and the Media: The Right “To Be Let Alone” is an information source provided by The Florida Bar Web site. Office of Information Policy (OIP) is responsible for encouraging agency compliance with the Freedom of Information Act (FOIA). Privacy and Security is a resource offered by Business.gov to help consumers understand ID theft, privacy laws, children’s online privacy and more. Protecting Your Identity In the Virtual World is a resource offered by the Better Business Bureau online. Protecting Your Personal Information is a resource offered by the Census 2010 Web site. Your Right to Federal Records is a resource that covers the Freedom of Information Act and the Privacy Act. This entry was posted in Resources, Tools and tagged COPA, freedom of information act, HIPAA, identity theft, online privacy, privacy laws, privacy rights, TOR. Bookmark the permalink.